1. In food processor, pulse kale into small chopped pieces. 2. To make dressing, stir lemon juice, olive oil, honey salt and pepper together in a large bowl. 3. 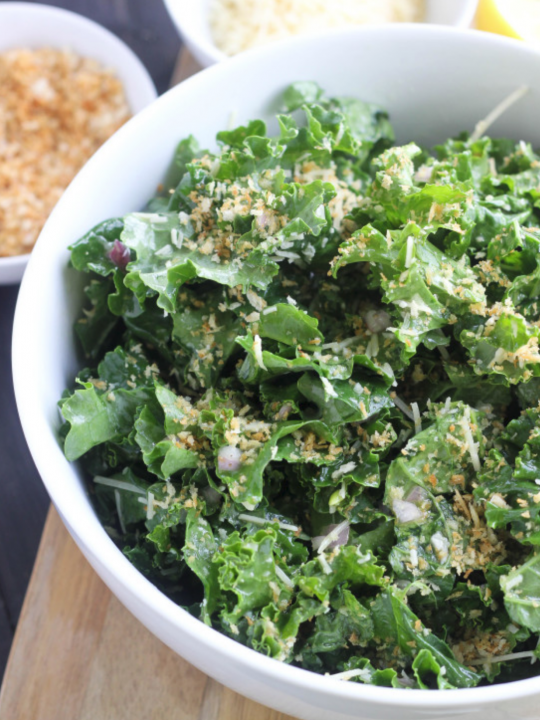 Add chopped kale, almonds and raisins or cranberries to bowl with dressing. 4. Stir in all ingredients together in bowl. 5. Sprinkle Parmesan cheese to top of salad and serve.